Finish: The soft, creamy Couture White finish on Sandcastle features intricate hand-work that creates a subtle brushstroke texture, creating a timeworn, repurposed appearance. Custom-designed hardware is punctuated with a pretty floral motif, including a flower-petal back plate and stylized ring pull. 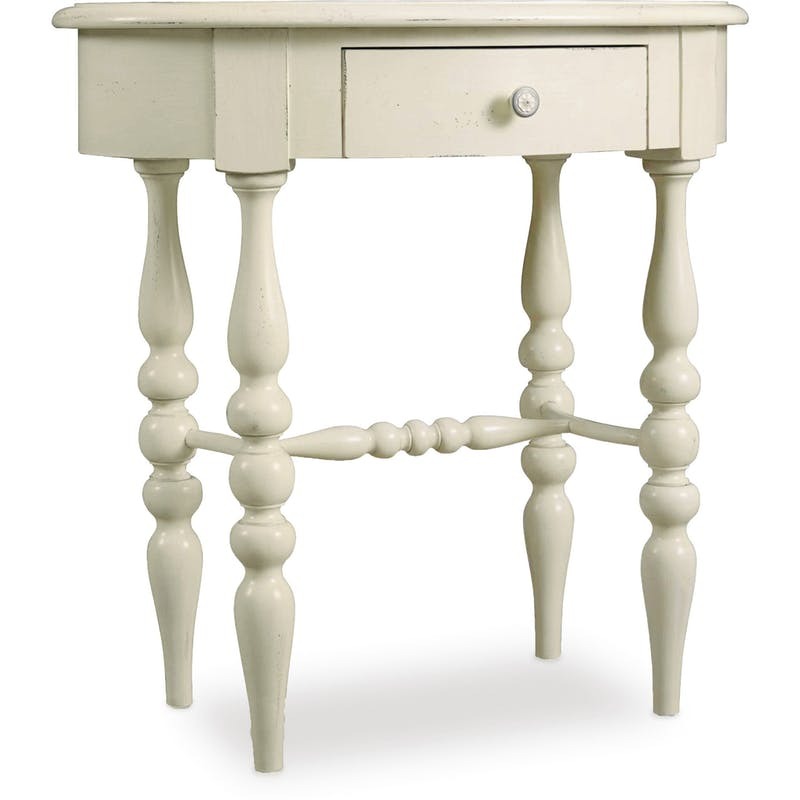 Click here to receive email quote for Leg Nightstand item.